Regarding the Brexit issue, USD is getting weak since the investors prefer trading with risky assets. The pair has created bullish candles today despite its strong pullback yesterday. 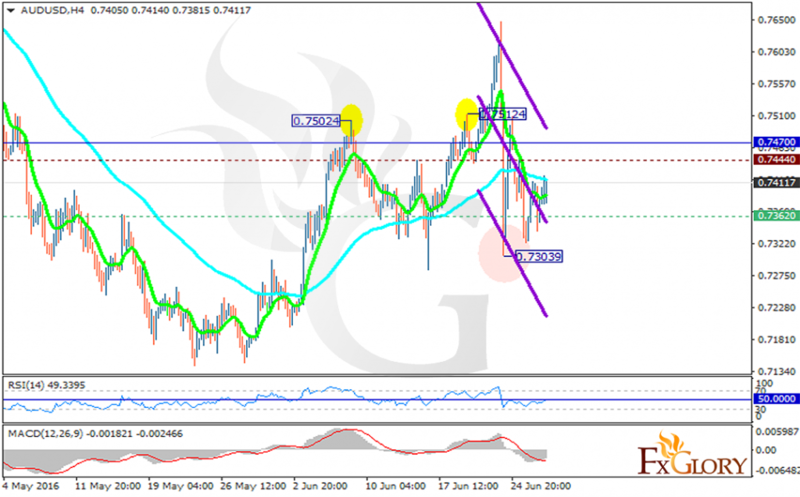 The support lies at 0.73620 with resistance at 0.74440 which both lines are below the weekly pivot point at 0.74700. The EMA of 10 is rising towards the EMA of 75. The RSI rose to the 50 level after passing the oversold area and the MACD indicator is still in negative territory. Further decline is expected around the support level and when the support is broken buyers can open their positions and enjoy the result.